Are you a believer in the concept of souls? Are you dismissive of the concept? Or are you among those who sit on the fence still trying to figure out which side you should lean on? Whichever side you currently find yourself in, there's a just-published book by cognitive scientist and Rutgers University professor Julien Musolino that may be of great interest to you. 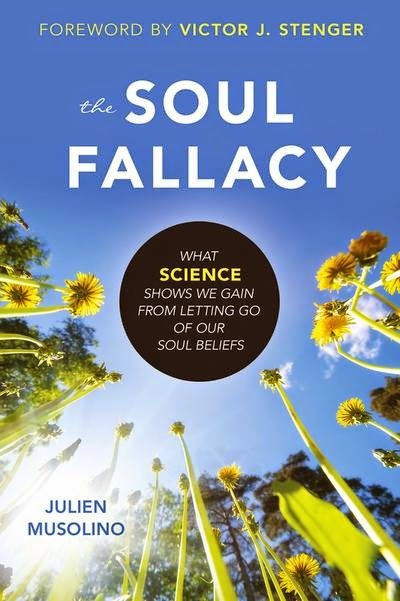 The book's complete title is The Soul Fallacy: What Science Shows We Gain From Letting Go Of Our Soul Beliefs. In nearly three hundred pages, professor Musolino builds up on his argument that the soul does not exist and that we can reap an abundance of benefits if we are to let go of our belief in it. Musolino understandably relies purely on science and reason to discuss the topic at hand. Many religious people who will read the book will most likely find Musolino as arrogant and even condescending. To unbelievers, agnostics, and skeptics, however, the book can be a great source of inspiration and further understanding of the soul concept - its origins, why it exists, and why millions of people still cling to it. The author draws from a lot of scientific fields to prop up his contentions. Making use of ideas from biology, neuroscience, psychology, philosophy, and other physical sciences, Musolino strikes the subject in the heart over and over again. The book can be repetitive at times to the point of being boring but it's necessary to drive the book's points across. The Soul Fallacy also contains a Foreword penned by the late Victor J. Stenger. This alone makes the book a worthy purchase. Stenger who died in August last year is a staunch defender of critical thinking, good reasoning, and skepticism. He is an accomplished physicist, science educator, and philosopher. He built quite a following through his numerous books and articles in various publications. Among his most well-known works is the excellent book God: The Failed Hypothesis. You can read a short excerpt of The Soul Fallacy on the Friendly Atheist blog here. You can also watch an hour-long interview of Musolino talking about his book on YouTube here. A short biography of the author can be found at the Rutgers University website here.